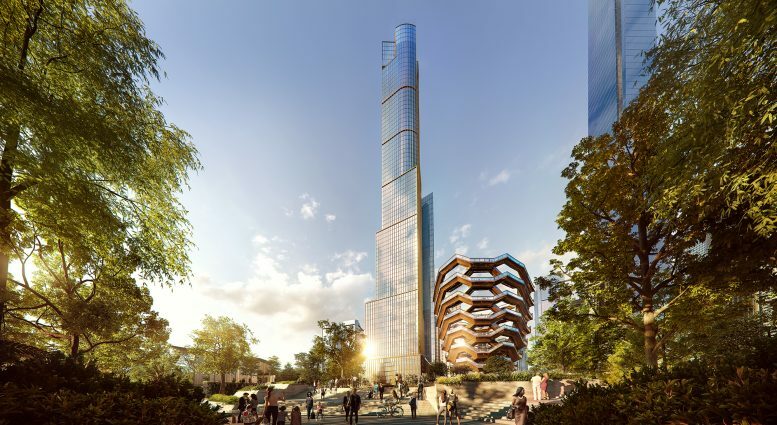 New renderings have been released for the 92-story Skidmore Owings & Merrill (SOM)-designed 35 Hudson Yards, the second tallest structure underway in the overall mega-development. 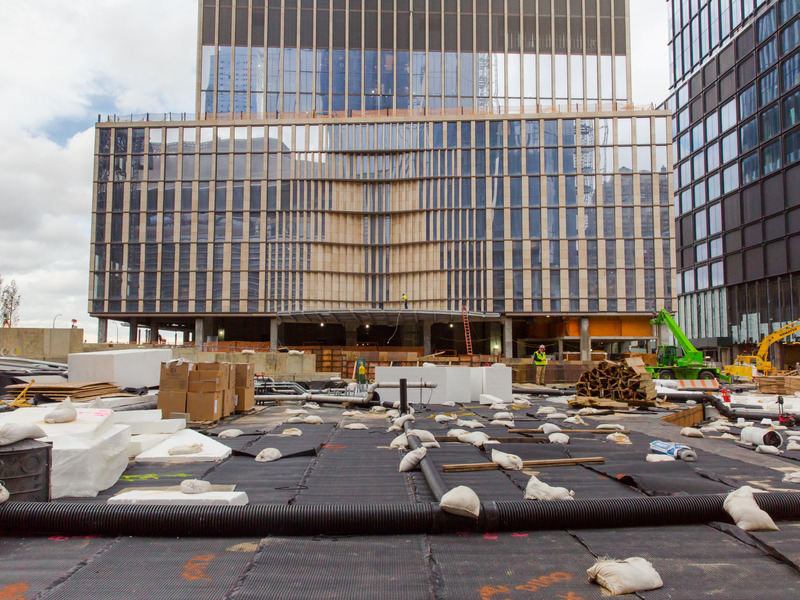 Along with the new renderings, images of construction reveal that the façade has shot up to just a few stories under the parapet. 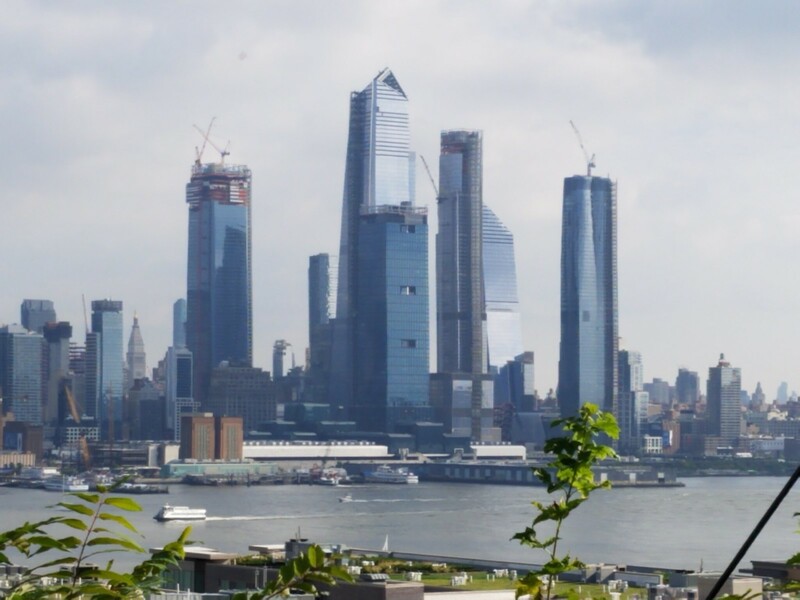 Once fully installed, all five of the Hudson Yards towers currently in the skyline will be near completely clad. AD100-awarded designer Tony Ingrao will be responsible for the interior designs of the apartments and amenity lounges. 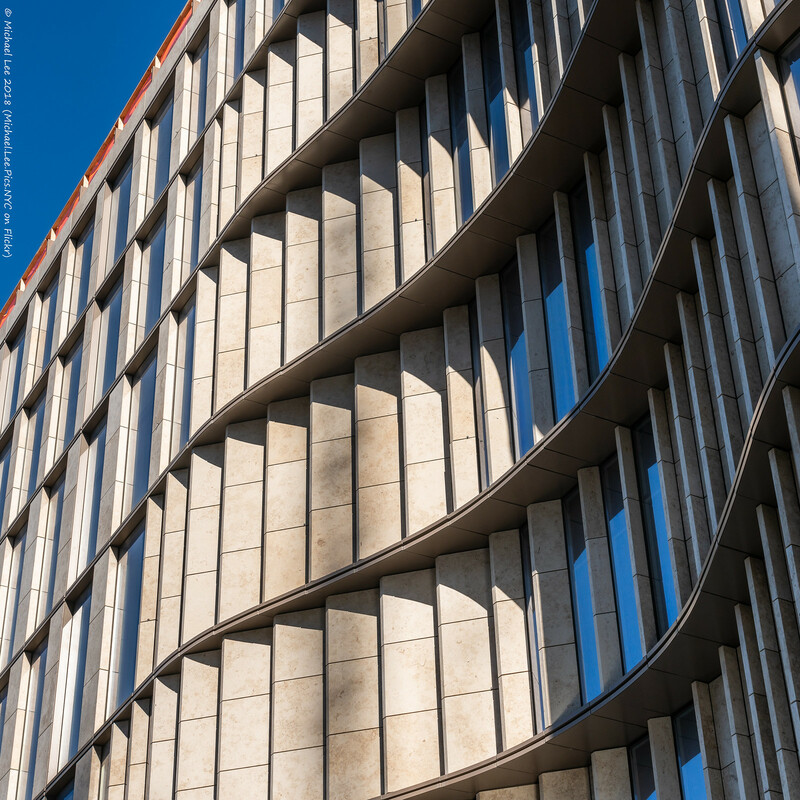 David Childs of SOM is responsible for the architecture, notable for its limestone and curtain wall façade. 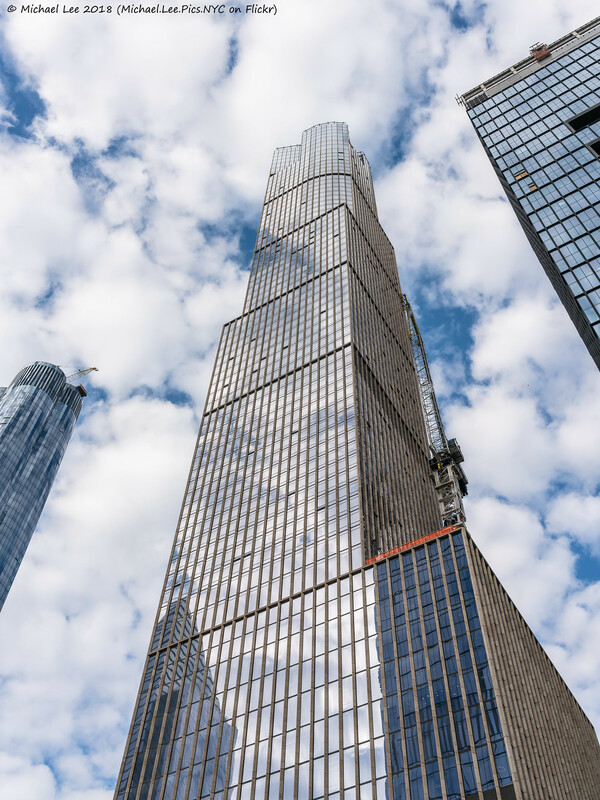 The 1,009-foot tall building will yield over one million square feet within, creating 143 condominiums, a 217-key Equinox hotel between floors 15-29, and retail on the first and second floors. I recall seeing that tower render with Vessel once before. The stone element and horizontal bands above the last setback don't look as pronounced in reality IMO. I'd love to live here. You'd get some amazing views especially in the curved units. 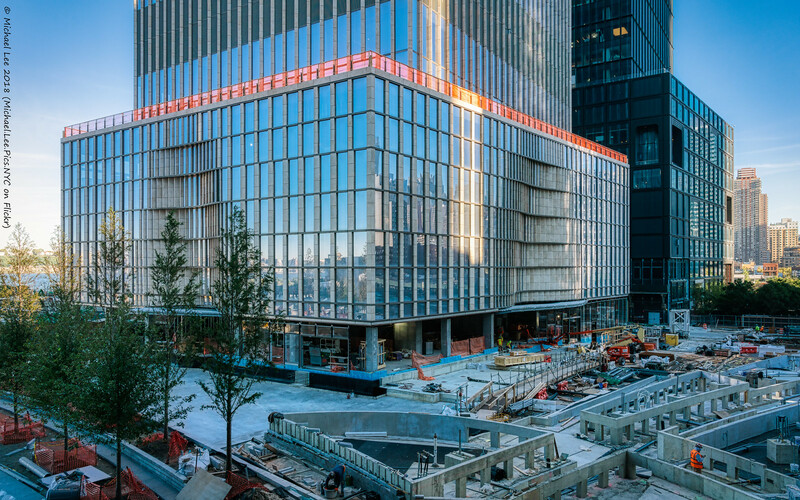 “Office buildings are our factories – whether for tech, creative or traditional industries we must continue to grow our modern factories to create new jobs,” said United States Senator Chuck Schumer. Last edited by NYguy; Sep 30, 2018 at 1:16 AM. This a fine building. Very fine indeed. I just love what SOM NY has done these last ten years. It really is a nice building. I imagine it would be appreciated more if it were rising in another location in the city. I think it would make a nice companion to 9 Dekalb in Brooklyn. Pic by me. From today. Great podium. 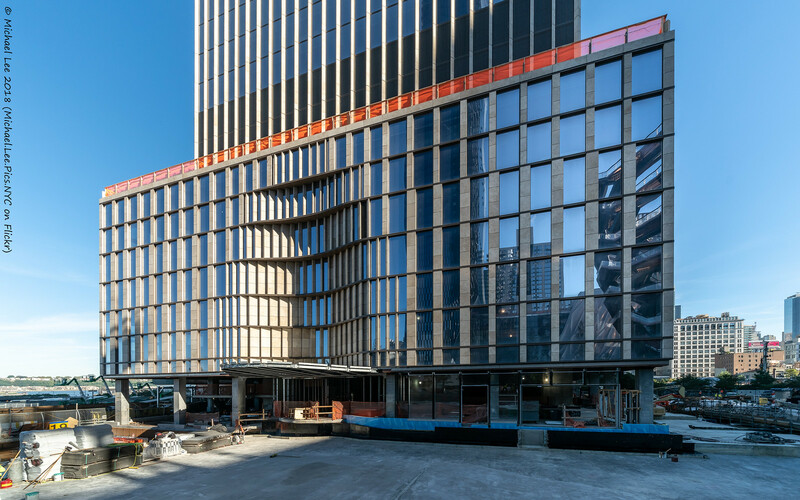 I love the aesthetics of stone and glass as I also respond very positively to 99 Hudson St.
35 Hudson has really stolen the show for me for the Hudson Yards so far. I think it fits well into the vernacular of some of the striking 'neo-art deco' (or whatever people want to call it) towers going up almost entirely in NYC including 111 W 57, 53W53, 9 Dekalb, 45 Broad St, and even 1 Vanderbilt (and maybe even 432 park to some degree). 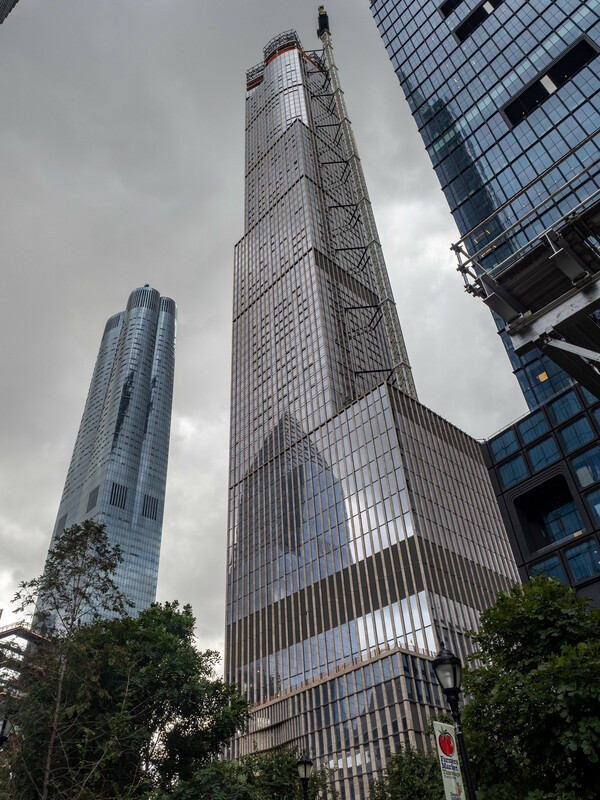 I wonder if anyone has read anything about these commonalities in the design of these highrises because they are all Class A and I am extremely jealous of NYC. Good observation. It's not usually mention on the conversation with those other towers, but I think it can be. Last edited by NYguy; Nov 2, 2018 at 4:35 AM. I wouldn't come close to comparing 1Vandy to 'neo-art deco.' That's a bit of a stretch. Looks more related to the international style.